New forms to revisit your recipes, to develop new ranges ! For nice aperitifs and without much work, you can think of dips! The stick shape adapts perfectly to this consumer trend. We offer you meat-based products or vegetarian options. 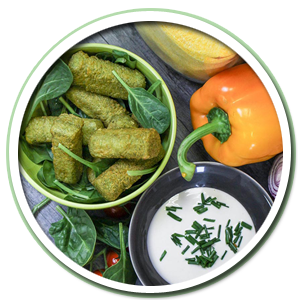 We also have an organic range of products and depending on our customers’ demand, the products can be raw or cooked, with or without seasoning.